There are many sights to see in Shrewsbury, MA, that you will not want to miss due to a toothache. 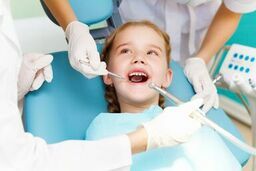 Whether you are there checking out the EcoTarium museum for kids or hiking through the Upton State Forest, it is vital that you seek treatment for your tooth pain. There are many dental specialists available to help you in your time of need in Shrewsbury. Emergencydentistsusa.com is the place to turn when you need to find a dentist fast. We have done the work of searching for local dentists and dental specialists for you in Shrewsbury. All you have left to do is to go over the list, pick the dentist that best fits your needs, and make the call for an appointment. If you want further help, or are having issues seeing the list, call our toll-free dentist finder hotline. Our team members are there to listen to you and your needs. They are trained to help you to identify the dentist or dental specialist near you. From that point, you just have to pick the dentist and we can even set up your first appointment for you. Please plan to be at least 15 minutes early to the appointment so you have time to fill out paperwork. It is important to bring your ID, insurance card, and a payment method with you. You should also have a lists of your current medications and any allergies you might have. You may be concerned about finding a dentist while you are out of town. Fortunately, Shrewsbury has many options when it comes to dentists and dental specialists. You can choose from general dentists and specialists such as oral surgeons, orthodontist, pediatric specialists, and more. Talk with your general dentist before seeking treatment with a specialist. They are who you usually need to see when it comes to toothache. If they determine you need further care, they will refer you to one. Description: Modern Dentistry strives to go above and beyond our expectations. They want to help you obtain a beautiful, healthy smile. They offer many services such as periodontics, preventive, restorative, cosmetic, and emergency. The office accepts most major insurance providers and financing is available. Description: Village Dental Group is there to provide you with the highest level of care. They are committed to your care. They offer many payment options for your convenience. New patients are welcome. They offer many services such as x rays, crowns, cosmetic, root canals, periodontics, and more. The office accepts all major insurance and payment plans are available. Description: Quinsigamond Dental is committed to providing you with personalized oral health care that is tailored to your needs. The office offers many services such as implants, crowns, preventive care, whitening, and more. They accept most major dental insurance plans and offer interest free payment plans. A toothache is a miserable time and a sure sign you have a problem. Catching that problem early can prevent further issues from arising. Should your toothache last longer than an hour, it is vital that you seek emergency treatment. If the pain is a result of an accident, go to your nearest emergency room to determine if there are other serious injuries. Before you go to visit a new dentist in Shrewsbury, check out their license and credentials to be certain they are active. You can do this by visiting the Massachusetts Dental Society website and inputting the dentist’s name in the search bar. If you prefer, you can wait until your first appointment to request this information from the receptionist.